The Exchange is a multi purpose building offering a high degree of flexibility for a wide range of uses. It is a community centre, a registered charity, an arts centre. Community singing in a friendly group. 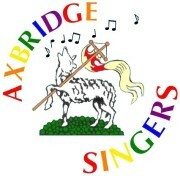 Join them on Thursday nights in Axbridge village. The Vaughan Williams Memorial Library is based at Cecil Sharp House in London. Community media projects in Wiltshire, Dorset and Somerset. Elijah Iles (known as 'Gramp') who was a key figure in his folk song collecting project. Alfred Williams first met Elijah in 1915 at his home at Inglesham, near Highworth. He is considered the primary supplier of the folk song lyrics Alfred collected in 1915/16 and was certainly made the biggest impression on him. A mountain dulcimer virtuoso, John has been passionately involved in the folk scene since the early days of the 1960s Folk Revival. Over the years his interests have broadened from the folk songs and music of the British isles to embrace a wide range of folk music worldwide, especially from eastern Europe. Nick is a very talented musician and teacher. 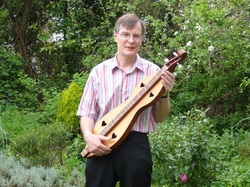 He has been playing the guitar since he was 14 and has a huge catalogue of experience to his credit across many genres. Rob Bray is Ludo Music. 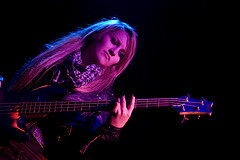 A very talented and versatile musician, producer, song writer and song writing facilitator. Check out his workshops. They are Highly recommended. A wonderful keepsake of Mendip oral history from Blagdon History Society. Straight to Lucy Hobbs and her gorgeous art and design. The woodland combines opportunities to get involved in sustainable woodland management with a unique camping holiday venue. The 56 acre site in the Brendon Hills includes two disused slate quarries, areas of deciduous and evergreen woodland, a waterfall & spring and views over the Bristol channel to Wales. There is variety of wildlife and flora including several protected species. Inspiring arts made in Somerset. Songs of Somerset ingeniously encapsulated in wonderful fragrances. A welcoming community media centre based in Bridgwater. Cecil Sharp collected many songs from Mrs Emma Overd, a wonderful charismatic singer from Langport who at that time worked as a withy stripper. Run by the Coate family since 1819 in the beautiful surroundings of the Somerset levels.